One of the most anticipated matchups in the NFL from the moment the 2015 schedule was released was the first time the Dallas Cowboys would take on the Philadelphia Eagles. The reason? Well, it was largely due to the fact that star running back DeMarco Murray left the Cowboys in free agency to head to the Eagles. On top of that though, this rivalry has heated up even more than usual in recent seasons, and it doesn’t seem to be cooling down anytime soon. They are set to square off in Week 2, and the first of the two-round bout will take place in Philadelphia. 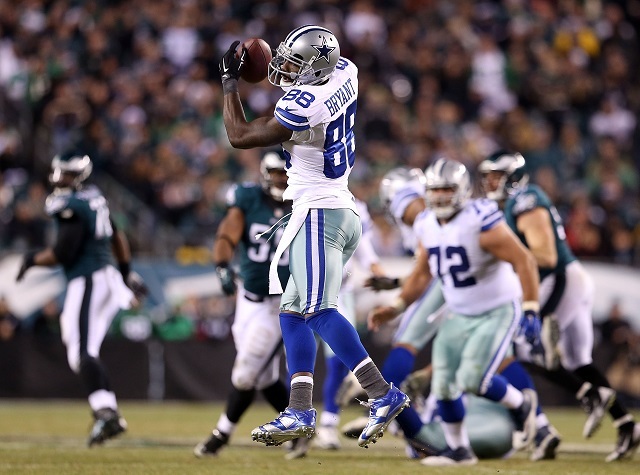 Unfortunately, it’ll take place with the Cowboys not having their biggest playmaker in wide receiver Dez Bryant. As Todd Archer of ESPN reported, Bryant recently had surgery to repair a broken bone in his right foot. Putting Bryant aside, there’s plenty to talk about in this one. Even more importantly, there’s plenty of bold predictions to be made, so let’s take a look at a few of them. We’ll start things off with the hot-button topic heading into Sunday. While this is bold, it’s not as bold as it would have been if the statement were made before Week 1. We saw an interesting mix from Chip Kelly in the run game during the Eagles’ 26-24 loss to the Atlanta Falcons. Not only did Murray tally only eight carries for nine yards and a score, but he was out-produced by the speedy Darren Sproles, who rushed five times for 50 yards. 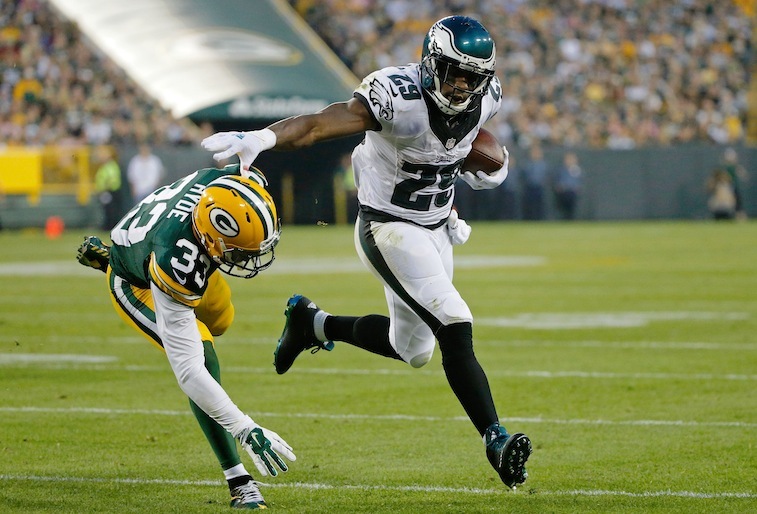 Between Murray, Sproles, and Ryan Mathews, the Eagles only ran the ball 16 times for 63 yards. They did tack on two scores, though. The issue here is that Chip Kelly wants his high-flying offense to get moving. This, and the fact that the Eagles were losing most of the game, led to quarterback Sam Bradford throwing the ball 52 times for 336 yards. Unfortunately for Murray, he may want redemption on his old team, but unless he really dominates right out of the gate, expect Kelly to keep a nice rotation going with his backs. Most importantly, Kelly will likely keep the ball in the air early and often, which directly impacts Murray’s production. I see Sproles possibly leading the charge again, as Dallas struggles with the change-of-pace backs. RB Shane Vereen for the New York Giants may have rushed just three times last week against Dallas, but had 14 yards, while also catching four passes for 46 yards. Expect a lot of Sproles. 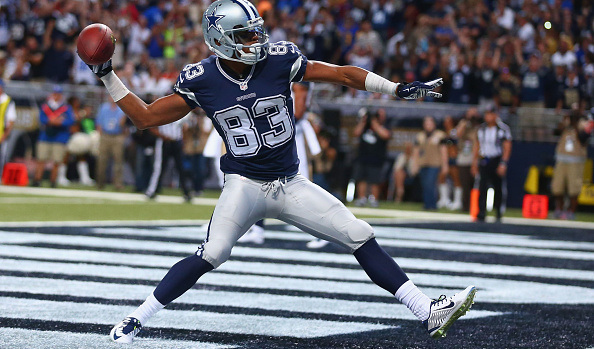 Will WR Terrance Williams benefit from Dez Bryant being out? Of course. How about tight end Jason Witten? Absolutely. But RB Lance Dunbar? Well, he’s the real wild card here. We saw Dunbar finish up the win over the Giants with eight catches for 70 yards and play a huge role in the game-winning drive. When the Cowboys needed a play to be made, it was one of two players on Sunday night, either Dunbar or Witten. Dunbar obviously isn’t going to fully replace Bryant, and the two don’t even play the same position, but don’t be surprised to see him get a whole lot of work in the passing game against the Eagles. Philadelphia will do all it can to pick up the pace, but regardless of whether that works, Dunbar is poised for a big role in the passing game. The running back battle may be between Joseph Randle and Darren McFadden at this point, but there’s no better third-down option than Dunbar. The Eagles should expect a heavy dose of the speedy back. The Cowboys have done their best to become the definition of a “ground-and-pound” type team over the past season. With Murray now gone, their run game didn’t excel in Week 1, with Randle and McFadden rushing a combined 22 times for 81 yards. It wasn’t beautiful, but Randle looked productive at times. Expect Dallas to use Randle and McFadden plenty in the run game — and possibly even mix in Christine Michael. What you may not see coming, though, is how the Cowboys may approach the opening of this one. Dallas knows the Eagles want to air it out and play fast. They also know that the popular belief is that the Cowboys will use their running game to help ease the pain of losing Bryant. 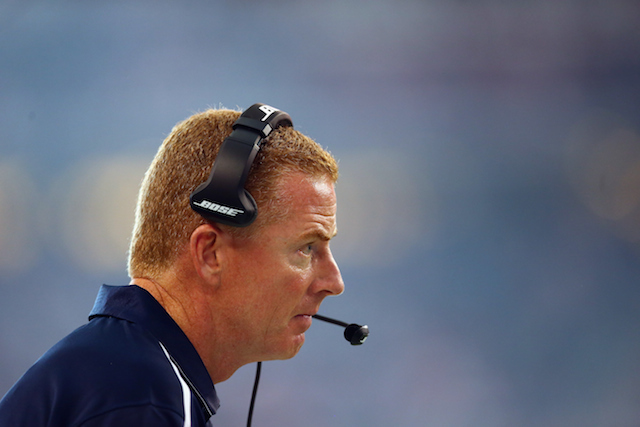 We personally believe that Dallas will come out looking to hit Philly through the air early on. Don’t be surprised if you see quarterback Tony Romo look for a deep bomb to Terrance Williams at some point on their first or second drive.